Bed Bug IGR’s (Insect Growth Regulators) is an effective way to get rid of pests. These are used to prevent the eggs or the larva from developing properly hindering their growth and reproduction. What is great about bed bug IGR’s is that it does not only kill adult pests but prevents the larvae or the nymph from developing into mature bed bugs that is capable of multiplying and spreading all throughout your home! How does this work? They mimic the bed bugs growth hormones. By this way they serve as a means of the bed bug’s self destruction as it is absorbed into the body. They could also end up becoming deformed or practically useless thus dying almost instantly without the capacity of reproducing or breeding. One effective bed bug IGR’s is known as the hydropene. 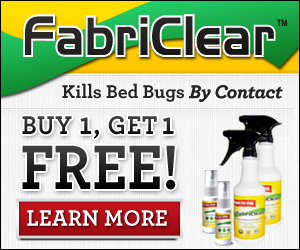 This has already been included in pesticides to help combat the spread of bed bugs. It can easily penetrate through cracks and other places in which the bed bugs can hide and remained unharmed. The larvae or the nymph of these pests are defenseless against hydroprene. This is one way of getting rid of pests by preventing younger ones from surviving and cause discomfort and if uncontrolled destruction in your home. This can be purchased in home improvement stores, grocery section and in the local hardware. Do not wait for the situation to worsen. Get rid of these little blood-suckers early on so that you would spare yourself from a lot of problems and expenses in the future!